New; Sealed in plastic. Journey with this family as they share some basic homesteading skills. 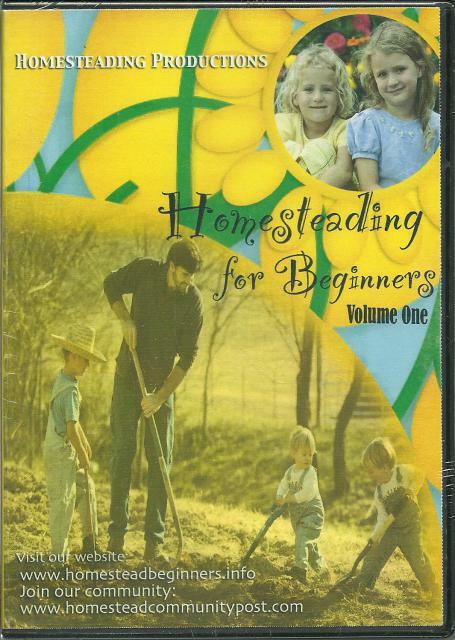 In this DVD you will learn everything from gardening to making butter. Raised bed gardening, harvesting, and preserving; Raising chickens and processing them; Egg Layers; Milking a cow; Making butter, keifer, and cheese; Bread baking; Meal preparation. Great for Families!